Fromer Local Government minister Ignatius Chombo's troubles continue to mount this time under the radar of the Zimbabwe Anti-Corruption Commission (Zacc) over a murky airport deal in which the Harare City Council is said to have been fleeced of millions of dollars, it has been learnt. Harare businessman Ken Sharpe was at the centre of the investigation after the Harare City Council reportedly lodged a complaint with Zacc over the way the deal for the construction of the Airport Road, which was later completed by the Zimbabwe National Roads Administration (Zinara) was structured. "The Harare City Council has lodged a complaint with Zacc and investigators, who include the corruption fighting institution's lawyers, are already on the ground sifting through masses of documents and evidence. "Sharp was awarded a contract without going to tender by Michael Mahachi, who was then heading a commission managing the affairs of the city at the time. Mahachi had been appointed by Chombo, but there is no evidence to show that the commission sat and approved the contract with Sharp running into millions of dollars," a source close to the matter said yesterday. Zacc commissioner (investigations) Goodson Nguni said: "We have received a complaint from Harare City Council and are dealing with it. By next week, we should have full details regarding the matter. We are working flat out on it,"
Insiders said the investigations have revealed that under Mahachi's instructions, council began transferring land and paid millions to Sharp's Augur Investments before work began. "Council paid millions to Sharp's Augur Investments even before any equipment moved onto the site. The whole thing reeks of graft. Land was also transferred to the contractor as part of the payment plan before anything happened. Council lost a lot," NewsDay Weekender heard. 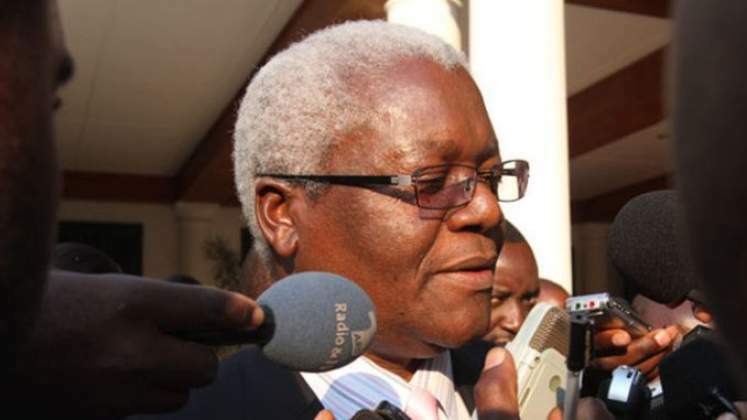 In 2016, Zacc as well as the Auditor-General Mildred Chiri's office called for an investigation into the 20km project known as Joshua Nkomo Expressway that audits indicated cost taxpayers and Harare ratepayers up to eight times more than was recommended including vast tracts of land with Chombo being the lead actor. Initial reports indicated that the airport deal was awarded to Augur Investments without going to tender. This involved the City of Harare pledging 4 000 hectares of land to the company as part payment. It has also emerged that Mahachi, was also Augur "project manager" when he awarded the company the tender. For his role as project manager, Mahachi was allegedly paid close to $2 million.